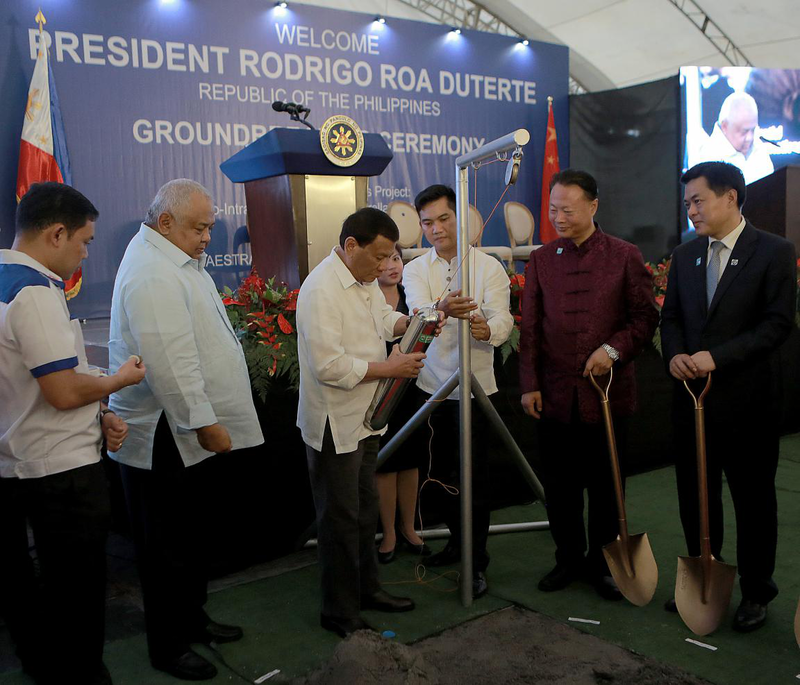 On 17 July 2018, the groundbreaking ceremony of two China-aid bridges project over the Pasig River was held in Intramuros, Manila. In his remarks, Ambassador Zhao said, "Since the grant agreement signed during Chinese Premier Li Keqiang's visit to the Philippines last November, our two sides have been working hard to bring the consensus on paper into projects on the ground. I am fully convinced that the Chinese contractor will complete the project with efficiency and quality. With the up and running of the two bridges, we will not only celebrate better connectivity in Metro Manila, but also celebrate the ever growing amity and friendship between our two peoples. " " Last January, two Dangerous Drugs Abuse Treatment and Rehabilitation Centers in Mindanao supported by China's grants broke ground. Just more than one month ago, the Chico River Pump Irrigation Project, the first infrastructure project financed by Chinese soft loan, started construction. Much of such projects are already in the pipeline and are expected to roll out starting from next year, such as Kaliwa Dam, PNR South Long-Haul Railway, Subic-Clark Railway, Mindanao River flood control project and so on. 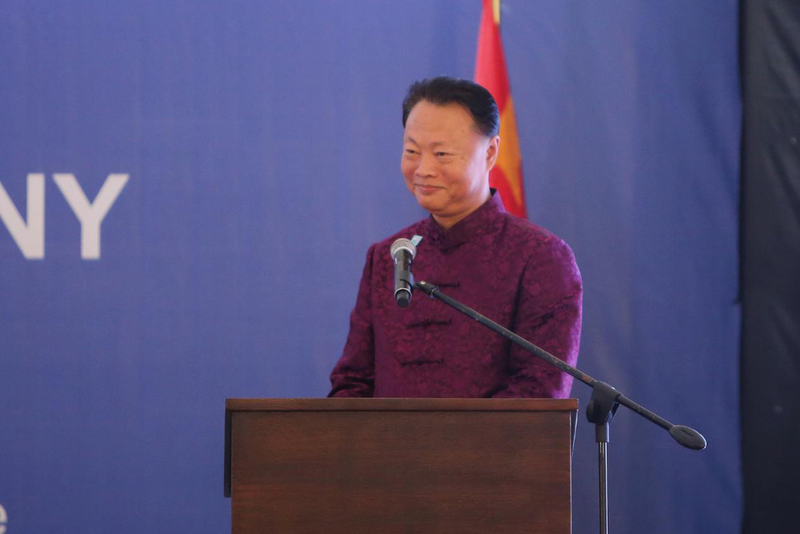 All these infrastructure projects take time, and we'll do our best to facilitate quality implementation of these projects," Ambassador Zhao highlighted. "…China and the Philippines can and should synergize Belt&Road Initiative and "Build, Build, Build" Strategy to set an excellent model of comprehensive cooperation based on mutual benefit and mutual respect. China's loan to finance infrastructure projects will not make the Philippines fall into debt trap. China will honor this commitment to make sure those projects will benefit the Filipino people. ...We'll do our utmost to prove that President Duterte's independent foreign policy, particularly friendly-cooperative policy towards China will produce more tangible benefits to the people of the Philippines," he added. In his speech, President Duterte expressed his appreciation to China "for their generosity" in funding the construction of the two bridges. 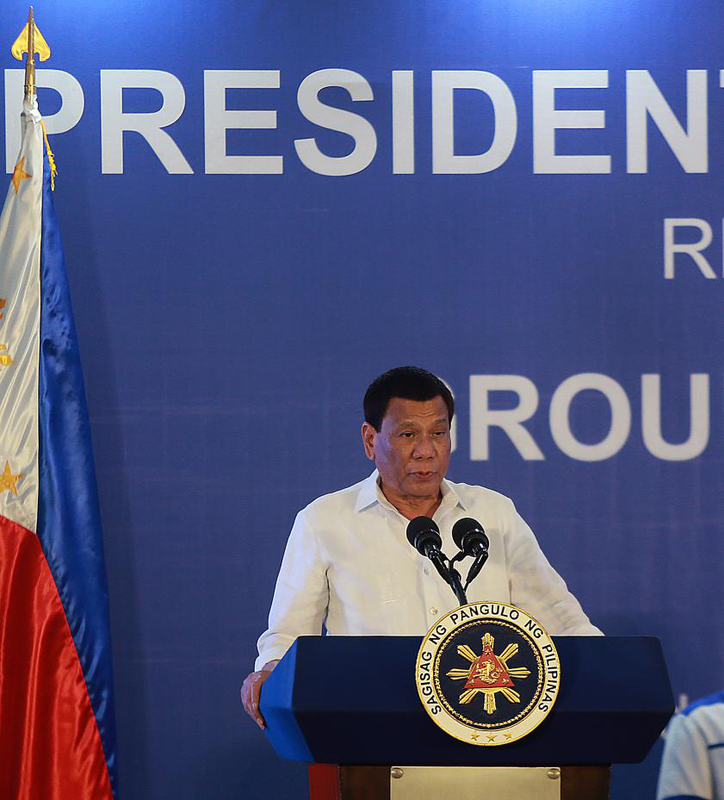 "As a friend, China has once again proved that they intend to join us in achieving lasting progress by addressing traffic congestion in Metro Manila," Duterte said. He said the construction of the two bridges will not just connect the various strategic areas, "but will also contribute to our quest to spur vibrant economic activity to an efficient and reliable road transportation network". "Through our combined efforts, we will be able to expedite our infrastructure programs that will improve connectivity and mobility around the country...Together, let us join hands in uplifting the lives of our people through channels that will give them the decent and comfortable lives that our people rightfully deserve," he added. "Personally I've been to China. I have talked to the leadership of the government and have had the honor of meeting President Xi (Jinping) and talked about a lot about friendships and cooperation. I just like to tell everybody that in all of these discussions, China never asked for any, not even a one square of real estate in this country. ...China and the Philippines will continue to talk about concerted efforts that would help both countries in achieving economic progress. But in the days to come, we would realize that China, after all, is really a good neighbor," Duterte said. As the first flagship infrastructure project to be aided by China under President Duterte's ambitious "Build, Build, Build" program, the two China-aid bridges will improve the capacity and efficiency of the road transport network in Metro Manila by providing additional fix links and additional routes crossing the Pasig River. The PHP4.243 billion Binondo-Intramuros Bridge project has two-way four lanes with a total length of 734 meters upon completion within 30 months. The PHP1.229 billion Estrella-Pantaleon Bridge is a 506.46-meter reconstructed bridge traversing the cities of Makati and Mandaluyong upon completion within 23 months.